In my World Religions class at Fuller Theological Seminary, I have focused on learning about Islam. I’ve read and listened to more books than I care to mention, and of course, realize how much more there really is to know. 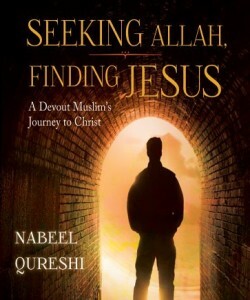 But one of the best books I’ve listened to this year has been Nabeel Qureshi’s Seeking Allah, Finding Jesus: A Devout Muslim’s Journey to Christ. It has just the right balance of story and apologetic content for the thoughtful Christian, and it is not a ‘light’ book theologically speaking. Right now, the audiobook is on sale at christianaudio.com (and no DRM), and I can’t recommend it highly enough. Still unsure? Check out this short video from the author.